The exhausting effort to legalize assisted suicide is like so many other ill-conceived notions of our times. The persuasive forces of video and social media advocates for “aid in dying” not only fail to consider the long-term ramifications of such a movement, they don’t even give thought as to whose job it is anyway. Nearly three decades ago, I read a paper that raised the issue of who does the killing when killing becomes legal. Unlike execution chambers where death is carried out as a final act of judgment on the condemned, there is no such judgment on those seeking aid-in-dying. The executioner on death row plays a role in carrying out full justice on a prisoner who most often is guilty of terminating someone else’s life – most often in a gruesome and premeditated manner. Death came as the result of a judicial process reminiscent of the eye-for-any-eye culture of the past. Whether you agree with the death penalty or not, the executioner is the final cog in a wheel of justice. What about the executioner at the bedside of someone who just wants the medical and/or mental ordeal to end? There is no penalty to carry out. Death is not the final punishment following a career of capital offenses. Death really is nothing more than a surrender to a bad circumstance. 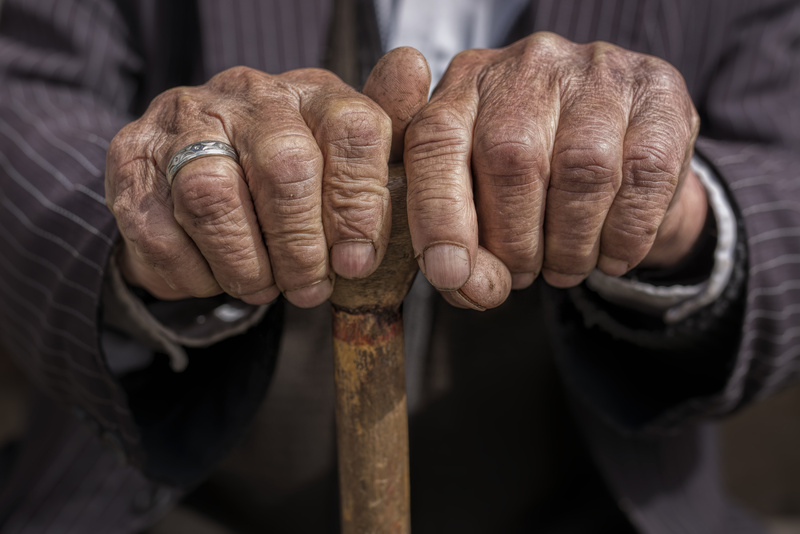 The aged and disabled are not the perpetrators of crime – they are its victims. Opponents of the death penalty characterize capital punishment as society’s sad surrender to a barbaric past. They want a penal system that rehabilitates rather than executes. So, what do we make of the person who plays the instrumental role of ending life through aid-in-dying or assisted suicide? Rather than rehabilitate the innocent through capable and loving palliative care they just kill them either personally or vicariously. The mantra of assisted suicide death is certainly different than the mantra of judicial execution. Assisted suicide is often framed in expressions of mercy and compassion. It is the ultimate statement of autonomy, as if the dying can shake an angry fist at an unjust God for letting life get so bad. But in the end someone has to provide the pills, give the instructions, perhaps someday even give the injections. Who should that be? In that previously-mentioned paper I read 30 years ago, the conclusion was that it should be the doctor. The author argued that although society sometimes considers the doctor the life protector, his real role is to carry out the medical wishes of the patient. He is a tool or instrument – a drone or a grunt. The doctors I have known were loving, compassionate, and very skilled. How long can they hold those qualifications when the job description must also include “terminator”? Consider how twisted assisted-suicide advocacy has become in our society. It began with the case of Karen Ann Quinlan and the desire to remove her assistive breathing. The parents saw the breathing machine as artificial, nothing more than an instrument to keep a dead person seemingly alive. What is often ignored in the Quinlan case was the loving determination of the parents to continue feeding their daughter. No one argued to take measures to bring a low-quality life to an end when she continued to breath on her own. Things are much different today. A popular contemporary way to end life involves withholding nutrition (i.e., stopping feeding). It may take 10-14 days, but then it is all over. Remember the early advocates for assisted suicide? They were known as the quacks of the time. Jack Kevorkian relished his title as “Dr. Death” as he assisted in suicides in the back of his van. Derek Humphry bragged about how he helped his first wife kill herself. He even wrote a recipe book on how to do it yourself. And what of those first advocacy groups! They used cold names like “Right to Die” or the particularly chilling “Hemlock Society.” Today they like to use such words as “compassion” and “choices” to mask their champion cause, namely, death. Today assistive killing has gone mainstream. Liberal churches have jumped on the bandwagon. Medical societies have drifted from absolute opposition to neutrality to who knows what. High profile people have boasted of assisting family members to reach an early death, and Hollywood has made millions of dollars advocating for assisted death in movies and television shows. Yes, this has become big business, and I think any physician who participates drags down the entire profession. It is a fact of life that people are often known by their lowest denominator. A handful of medical executioners cast a chilling effect on the credibility of the entire profession. I detest society going in this direction. Minimally, let’s restore doctors to their roles as caregivers. Let’s venerate their efforts to minimize pain, heal wounds, and bring dignity to the closing moments of life by offering loving care and not a prescription to end it all. There just seems to be something backward about years of medical training and countless thousands of dollars spent just learning ways to become a better killer. It certainly was not the spirit of the Hippocratic Oath. If someone wants to be the killer for the assisted suicide community, let him qualify outside of the medical discipline. Let’s restore dignity to a profession that every one of us would like to trust a little more because we expect so much more from them. © Copyright 2005 - 2019 by Christian Life Resources. Christian Life Resources is not responsible for the content of any other websites using similar names.